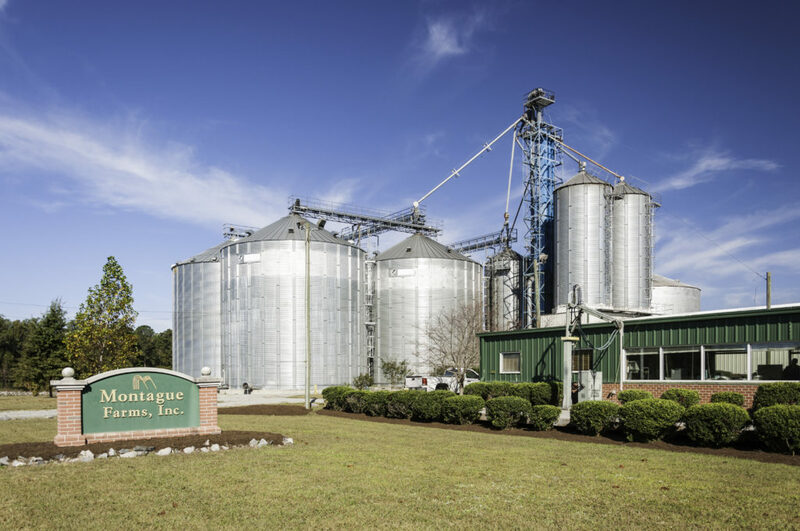 Montague Farms is a 4th generation family-owned and operated producer and exporter of food-quality grain. We are located in the Tidewater region of Virginia in the United States, from which specialty agricultural products have been exported for over 400 years. Since 1903, our family has been directly involved in agriculture and supplying the highest quality vegetables and grains to food markets. That tradition continues today with our family farm located in Center Cross, Virginia. In the late 1980’s we expanded our product line to include non-GMO soybeans exported into Asian markets. In the 1990’s we engaged the Virginia Tech Soybean Breeding Program to develop varieties well-suited to Virginia production climate and naturally selected for specialty traits desired by food manufacturers. That relationship continues today, with one of the most active non-GMO soybean breeding programs in the country. As the business continued to grow in the early 2000’s, we expanded our operation to two soybean cleaning facilities in Virginia with a combined storage capacity of 20,000 MT and a cleaning capacity of 16 MT per hour. Today, we offer full packaging solutions and logistics for our customers who are located around the world. Montague Farms has a long history of promoting and fostering cooperation within the agriculture community from the local to the national level. Montague Farms staff have held positions on the Virginia Agribusiness Council, Virginia Soybean Association, Virginia Trade Delegation, Virginia Department of Agriculture and Consumer Services, Virginia Grain Producers, Small Grains Board, US Wheat Association, National Corn Growers Association and the Virginia Soybean Board.